“Wednesday is Anti-Procrastination Day,” and it still is, all these years later. And so even though housework did not deserve my best, especially as I had witnessed the unfair weight of it on my mothers & grandmothers, I set out to study the art and science of household management, as a matter of survival. I created systems of sanity, engaging everyone in the household in routines that continue to this day. “I stayed home for the children not the house,” was my motto. My sense was that this role was both sacrifice and blessing, but never an assignment to do everything alone. Along the way, a woman (and email subscription list) called FlyLady was an ally in staying the course, but this was long before I realized that housework was political. I hadn’t understood then that homemaking meant that a women’s brilliance was unavailable in other spaces where it is was so desperately needed. I hadn’t understood then that refusing to do everything myself was not only an act of self-preservation but a revolutionary act of consciousness. Sharing housework with my family from the very beginning created increasing space for me to begin exploring other aspects of myself, which are still unfolding as my youngest prepares to fly from the nest. During my first year at United Nations Commission on the Status of Women (CSW) in 2012, I heard women from developing countries emphasize how much their voices were held back by an unfair share of caring for home and family. This year women from these same regions expressed their surprise to find that #metoo was epidemic in our developed nation. Equality, it appears, is far from being achieved, anywhere. It begins in the home. In the bedroom. At the kitchen table. Once upon a time there was a Little House way out in the country. She was a pretty Little House and she was strong and well built. 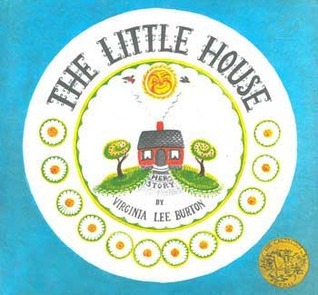 Her-story continues as the Little House watches the seasons pass from her hill in the country and is soon surrounded by a village, and then a town, and finally—by a city–where she is so crowded in by buildings that she can no longer see the sun or the moon. The Little House becomes shabby and misses the apple trees and daisies that once grew around her. No one wants her anymore. So shabby perhaps that my own father decides to travel during the week that I have planned to visit my family at their seaside home. I sit on the porch of my own Little House in the mountains and sob, wondering how I have become so unworthy. It’s true, that at 45, I am an old daughter, with chipped paint and crooked shutters, but so is my father, older and shabbier still. My son finds me on the porch, and sits beside me in my grief, placing his hand on my shoulder. It is the great-great-grand daughter of the man who built the pretty Little House who comes to retrieve her from the crowded city. She puts the Little House on wheels and takes her over the big roads and the little roads until they are back in the country. As the Little House settled down on her new foundation, she smiled happily. The stars twinkled above her…A new moon was coming up… Once again she was lived in and taken care of.